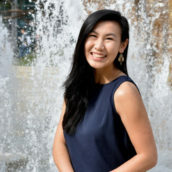 Erin Leung is currently finishing up her last year at Chapman University with a major in Integrated Educational Studies and a double minor in STEM and sociology. Upon graduation, she will be attending the University of Pennsylvania and studying toward a Master’s in Education. She sees teaching as an ever-growing passion and has been fortunate to have experiences teaching overseas, in under-resourced communities, and in after school programs here in California. Ms. Leung is excited to learn alongside the Arbor Learning Community this semester.